"When my daughter entered High School in March, I knew a mid year change of schools would be a bit challenging, especially in math. I was fortunate to receive information about Grade Potential and the experience was excellent and more than expected. It was great." 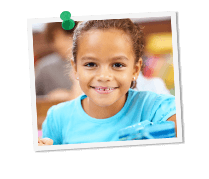 At Grade Potential, we are all about making tutoring work for you. We know our clients want their kids (and themselves) to be able to achieve their goals—without having to jump through hoops to do so. That’s why we’re proud to offer highly personalized, in-home tutoring services of the highest quality. In order to cater to the lives of our clients, our contract tutors meet students in their homes (or wherever is most convenient) and work around their schedules. Give us a call now so we can start making tutoring work for your family! Our team of contract tutors is made up of talented individuals who have a few things in common: they’re friendly, motivated, good at what they do and eager to satisfy clients. Our contract tutors not only possess great subject matter knowledge but also who are skilled at communicating in ways that resonate with students. Because we place such a high value on the service we offer our clients, Grade Potential has an incredibly friendly and helpful office staff. Our team members will provide you with the best customer service you can find!